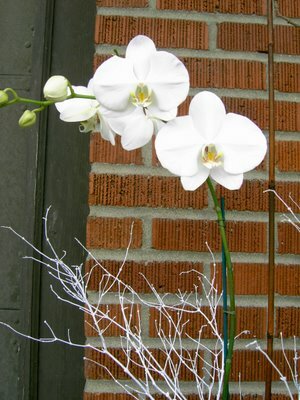 One of Juniper’s specialties is the well dressed orchid plant. 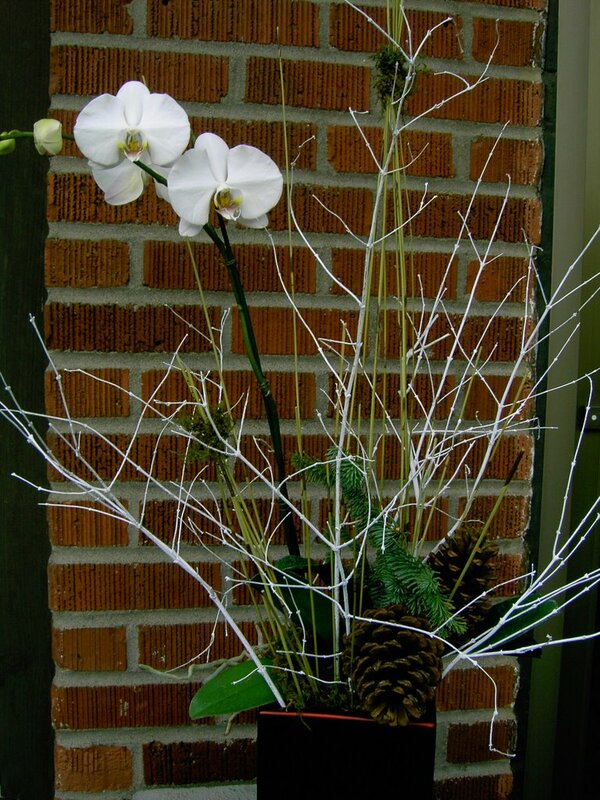 Here are some examples of how we do it holiday-style. 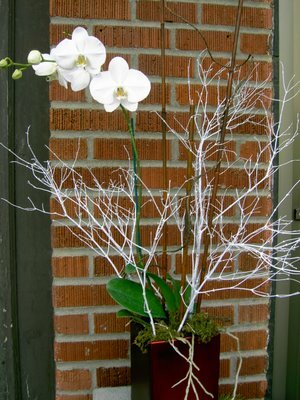 White phaelanopsis orchid plants are potted in festive red cubes and decorated with white branches, mosses, and bamboo. Add winter greens and/or pinecones to season it up even more.